These works are based in Chesterfield, Derbyshire. Viewing and collection recommended in order to guarantee safe transit with you, their new owner. In order to purchase please place your order on 01246 811275. 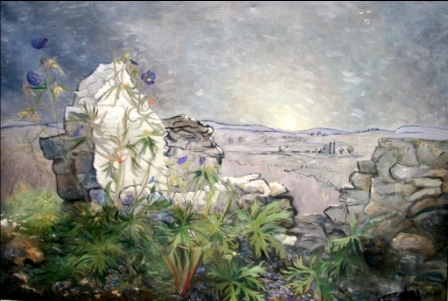 Oil on canvas 92cm x 62cm – Purple Cranesbill – Magpie Mine by Moonlight (after Van Gogh) Colours more subtle – iridescent lilac/grey in reality. Frame was custom made gun metal silver with black flashing. 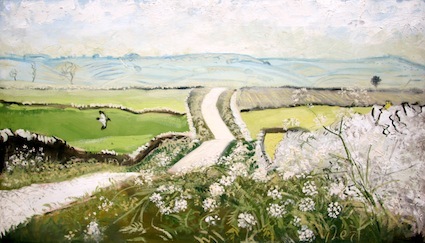 Peak District road with magpie and cow parsley. Oil on canvas. Unframed. 92cm x 62cm (approx). Signed in corner. Oil Magpie Mine, Framed in Gold. Available to view in Bakewell Art & Design Gallery. 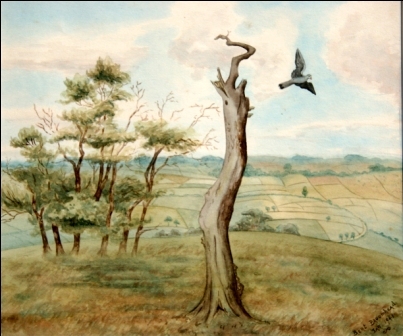 This early watercolour is in great condition, remaining unfaded. It is signed and dated. 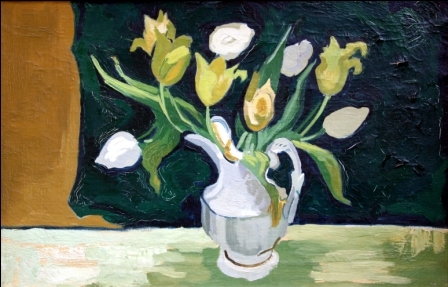 50cm x 35cm. 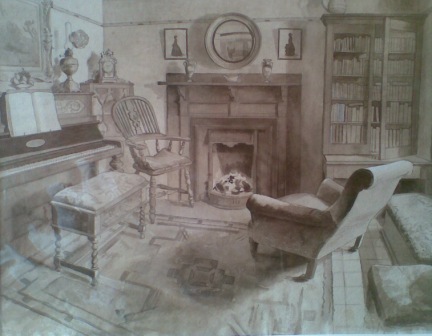 Executed in Watercolour, Pen and Ink, this large watercolour details perfectly many of the family's antiques. A period piece for Victorian living demonstrating the precision of Bert's work. Framed but not signed. 59cm x 37cm. This striking painting is Oil on Board. These tulips grew in Bert's front garden. Damage consistent with age. Cracking on oil can be restored if buyer requests. This attractive painting was done in 1952. 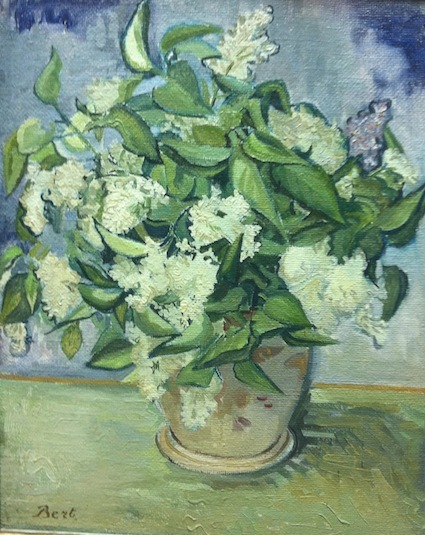 The subject of the crisp white lilac flowers and their green foliage is presented in a fine pot which Bert made himself. 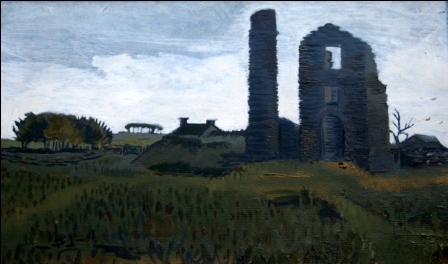 Typically, he has chosen to paint those things which he grew and made, which were a part of his world. This work is presented in a gesso frame which he custom made for this image, in a subtle blue-grey, with a textured finish. It is clearly signed, bottom left. Please note that the values increase year on year, and after exhibitions. The prices listed above were correct at time of going to press. Please contact us for more information on 01246 811275. Artwork Copyright © Estate of Bert Broomhead.